Little Pink Book: A thankful heart. I love realizing how many things I have to be grateful for in my life. It helps me put things into perspective when I realize how much I actually have. God has blessed me with so much! *Going to the gym and getting a good workout. I'm really thankful I enjoy running as much as I do. *Lunch with Billy who I love so much! *Finding ways to cut back on expenses and living a more frugal life. *Completely excited for the holidays. I think they are going to be amazing this year! *Of course, our wedding in January! I can't believe it is only 71 days away!! *Good books to read and cuddle up with when it gets colder. *For being finished with our invites! We spent all day working on them last Saturday, and they are finally mailed! Yay!! *A warm and cozy bed. Yes, it's a very simple thing, but I'm grateful for it even if it sounds silly. It's a comfort after a long day. *The chance to read up on health facts in Women's Health. *New vitamins that I'm taking every day. 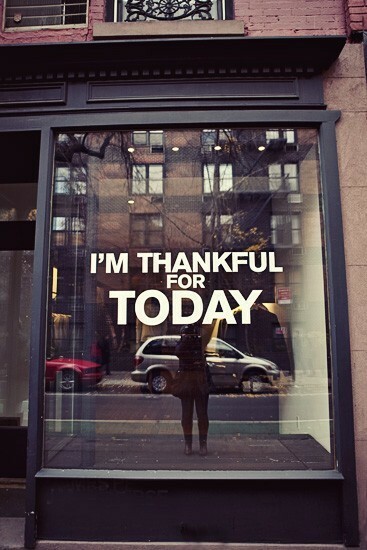 Nothing is too silly to be thankful for! :) I actually thank God almost every night for my bed (and that I survived another day! Lol.) I think it's a great list....and just think...that's only a fraction of it! You forgot to put how thankful you are for you totally awesome sister-in-law to be...lol...love you...great things to be thankful for! This is a great list Natalie! Made me smile for sure. :) I'm thankful my tests are over for the week and also for late night ice cream dates with Jake!